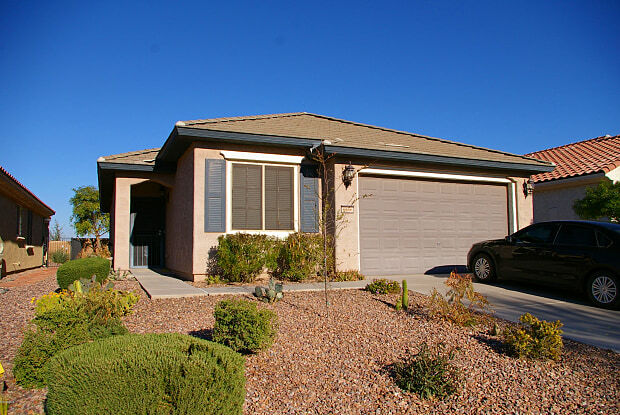 Beautiful Sun City Anthem at Merrill Ranch vacation home that boasts luxury living in a 55+ golf community with ample amenities to suit the active lifestyle. This open floor plan offers 1,381 square feet, private master bedroom suite, second bedroom for guest, walk-in closet, tile floor in entry, kitchen, laundry and guest bath, upgraded cabinets and granite counter tops in kitchen. This fully furnished and landscaped home also includes a comfortable outdoor living space and BBQ where you can enjoy those beautiful Arizona sunsets. You will also have the full use of the Sun City community center which includes both an indoor and outdoor pool, full gym, exercise studio, an array of fitness classes, 21 different charter clubs including; bocce and pickle ball, arts and crafts, and many more activities for everyone! 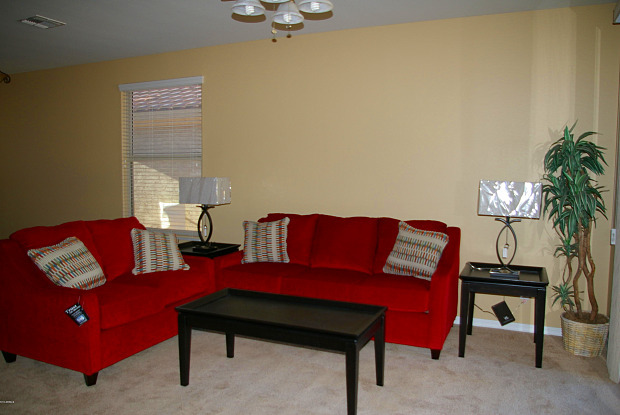 In addition, Sun City living provides a beautiful 18 hole Troon golf course. After a round of golf you can enjoy a relaxing break in one of the two swimming pools, spas, or saunas. If that's not enough, book a reservation with one of the wonderfully talented massage therapists. Owner prefers a three month rental, however may accommodate a shorter term at owners discretion (one month minimum). Tenant responsible for one time $25 fee for transfer/registration for Sun City Community use pass/card. Have a question for 6566 W MOCKINGBIRD Court?